"She's stronger than any Slayer you've faced. Force won't get it done. You gotta work from the inside. To kill this girl...you have to love her." For Buffy the Vampire Slayer, birthdays aren't all parties and cake -- hers tend to involve a life-or-death battle with a big evil. Her seventeenth celebration isn't an exception. 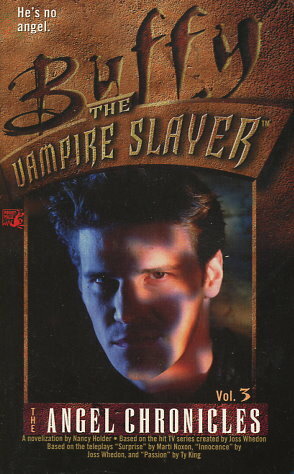 While Buffy's friends organize a festive gathering in honor of the special day, Spike and Drusilla are planning their own surprise party for the Slayer -- with a devastating demon as the grand finale. But a passionate night with Angel changes everything. Suddenly, Buffy must deal with two forms of ultimate evil: the almost-indestructible Judge -- and the legendary vampire Angelus, who is determined to exact his special brand of revenge on the young woman who showed him true love. Now, collected for the first time, are three stories from the hit TV series chronicling Angel's darker side.